Nice read! We all really enjoyed the trail-run/hike even if it was not really an LSD. Thank you for the important data regarding the elevation and the distance. The 11k distance is for the whole trip going up and down? looking forward to run (or hike) with you again. > I also enjoyed running (or walking) with you guys! 11K was the total distance covered (5.5K base to summit and another 5.5K on return), possibly a bit more since that distance was linear excluding the terrain. 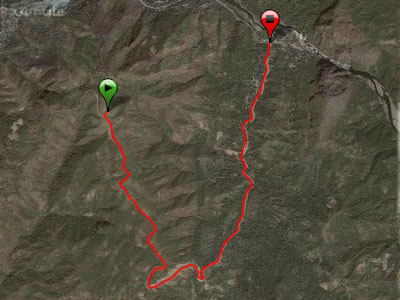 Wow…very nice trail! Next time sama na ako. I’ve fully recovered and looking forward in joining races…and trail runs like this one.